Carpeting grows slack over time. As it ages, fibers become more relaxed and loose. Loose carpeting can be a tripping hazard, it is also susceptible to tearing if something catches on the excess material. Magic Touch Carpet Repair has certified carpet repair professionals who accurately stretch and cut your carpet to an exact fit, so it is taut and will stay in place for years to come. Call today for carpet stretching in Scottsdale and keep your carpet safe from damage. Carpet stretching takes precision measuring and attention to detail in order to get it tight and even across the whole swath. Pulling it too tight can create tearing at the seams. Our experienced professionals meticulously measure and shape carpeting. We get it just right so that it lays flat, yet does not pull too tightly around the edges. We guarantee our work, so you can feel confident you will be satisfied. If carpeting gets wavy, it is prone to tearing. A large tear in the center of carpeting is more costly to repair than stretching, so it is always best to take care of carpet stretching as soon as the need arises. Carpet stretching keeps your carpet secure. It eliminates the risk of people tripping as well as tearing while items, like furniture, are being moved. As a locally-owned and operated business, we care about delivering quality craftsmanship in all our carpet repairs. When you call us for carpet stretching, we offer an upfront, transparent estimate with no hidden fees. All our work is done by polite, clean, professionals who care about delivering quality service as well as excellent customer care. Feel free to ask us any questions, we believe open communication is part of the process. 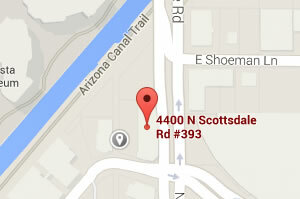 Call today for precision carpet stretching in Scottsdale and the surrounding area.